Mango is a fruit that comes in diverse varieties and known by various names. Yet it is a delectable fruit with a unique taste in every form. Neither children nor adults can deny a bite of its juicy flesh. But it is not all about the taste! Mangoes are packed with a myriad of health benefits. The king of fruits has high levels of Vitamin C, fibre, and pectin. Research reveals that Mangoes have antioxidant compounds which protect against cancer in colon, prostate, breast and leukemia. In addition to that, Mangoes help in improving eyesight, clearing skin, and lowering cholesterol by maintaining an alkaline pH in the body. So, if you are an admirer of a beautiful skin, you must add Mangoes in the list of fruits to eliminate pimples and clear off clogged pores of your skin. The Vitamin A in Mangoes prevent dryness of eyes and helps with night blindness. The citric acid, malic acid, and tartaric acid present in Mangoes help in maintaining the alkali reserves in your body. With so many health benefits, Mangoes have been used since generations in dried, frozen, and processed forms. What else can be more refreshing than a chilled Mango smoothie to combat the heat of the Summer? Also, the fruit can be added to salads, salsas, curries, and juices to enhance the taste. Mangoes also have much more to offer to the fitness freaks. 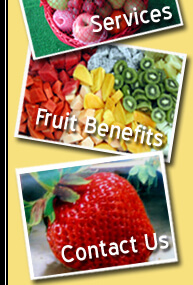 The fruit has 25 different types of carotenoids to boost your immune system. The fruit also contains enzymes to break down protein hence help with digestion. Green Mango juice prevents the body from overheating thereby preventing heat strokes. But if that is not all to ring the bells in your head for including the fruit in your diet. Here is another health benefit that the balanced amount of Vitamin E in Mangoes can promote good health. Who would have imagined, that a small sweet fruit like Mango can provide so many health benefits? 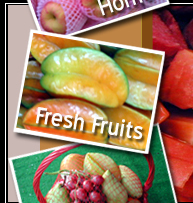 Now, you can easily get the fruit delivered to your doorstep via mango supplier Singapore at wholesale prices. eFreshFruit by Hock Hoe Hin Pte Ltd are wholesale mango supplier Singapore who facilitate various varieties of Mangoes including Thai Chikana Mango, Nanyong Mango, and Thailand Honey Mango. They have a reputable name amongst mango supplier Singapore wholesale and have been supplying fresh fruits throughout Singapore for generations. The wholesale purchase of the Mangoes in bulk is facilitated via Fruit Bazars. Alternatively, you can also order a platter of the delectable fruit to your doorstep at affordable prices. With eFreshFruits, you get garden-fresh Mangoes in the finest quality at reasonable prices. So, next time you want to taste a bit of your favorite fruit; all you need to do is order your package from eFreshFruits to get it delivered to you quickly and conveniently. Include the delectable fruit in your regular diet plan and enjoy the various benefits that Mangoes offer. For any queries regarding availability and delivery, contact us below.